SERF is a leading IT company that has deployed multifaceted projects by satisfying millions of clients from US, Europe and other countries across the world. We have been recognized as the best developing PHP based websites, content management sites, e-commerce solutions and other web applications. So hire PHP developer from SERF company and reap the benefits of superior quality at affordable cost. SERF is a proficient IT company, employing team of dedicated 50+ professionals that has served national as well as global clients all over the world with complete gratification. Therefore, Hire Magento Developer from SERF company seems to be favorable decision for your business. SERF is a fast growing company in it who provide good Python development services who are committed to delivering excellence in every customer engagement. Our Python developers are very experienced and comunicative in English. Our asp.net developers are trained to be agile and adapt to both customer needs and market demand swiftly. Staying ahead of competition in this fast evolving digital landscape necessitates a futuristic vision where anticipating massive changes is crucial and our endeavour towards this focuses on improving user experience with our asp.net services. Hire asp.net developers from us who create customized, scalable, secure and easy to integrate solutions swiftly that helps clients take their products to market quickly and save on development costs. Scala or Scalable Language is an extremely popular language with developers owing to it being able to perfectly combine the concepts of object oriented and functional language. At SERF company we have leveraged the popularity of this language and have successfully implemented our Scala development services for clients all across the globe. SERF is renowned as a Java development service provider that offers exceptional Java/J2EE programming services to suit the web and mobile application development requirements of the clients. Our company specifically fulfill the needs of diverse enterprises impeccably. The company aims its J2EE application development service to be scalable and easy to implement. Because of this approach, Java programming language is an obvious choice for us to handle the J2EE application development projects. Our iOS developers are extremely well versed with the App levers and understand that businesses ultimately seek maximum returns at minimum costs. We also understand that Apple users are willing to shell out more per app compared to other competing operating systems simply because of its closed nature which works in favour of iOS. Hire our programmers from us who recognize that staying ahead of competition requires much more than simply creating a new solution each time there’s a new requirement. Our iPhone app developers create apps that are future looking, easy-to-integrate, and extremely secure. 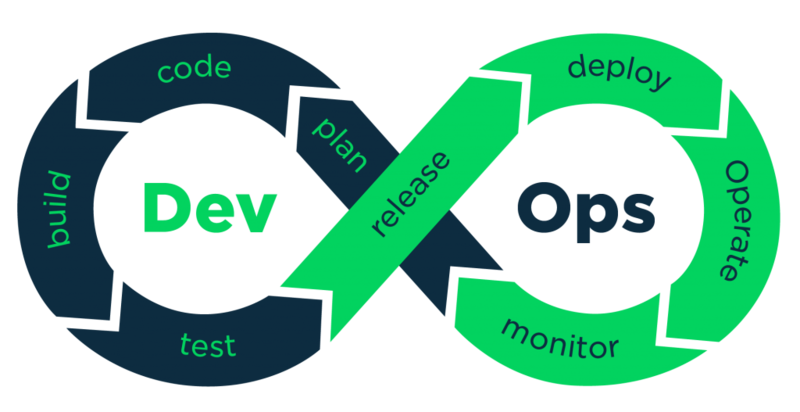 As large number of enterprises and startup’s resort to using cloud as their preferred choice of deployment of their software’s, devops is becoming increasingly important and a key component of software development lifecycle. Development and Operations team are required to work in tandem to ensure continuous development and delivery to thecustomers.DevOps stands for collaboration of Developers and Operations to ensure continuous development. Our DevOps team uses various tools for cloud automation, continuous integration, code management, configuration management and deployment. Our DevOps services also cover setting up disaster recovery, security and alerts for our customers.